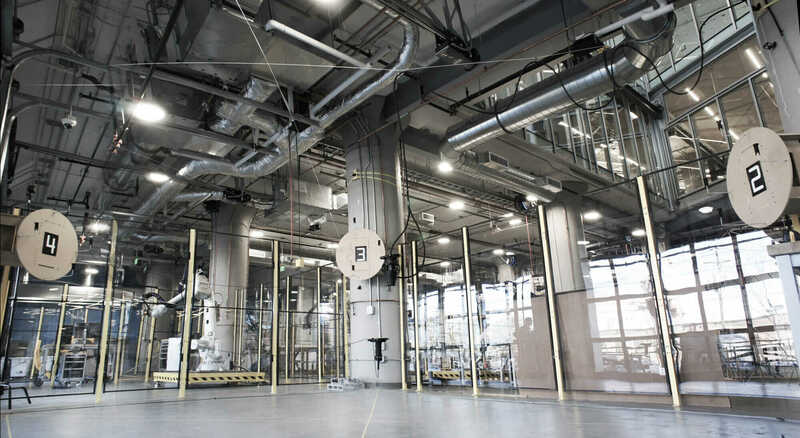 Carbon fiber's light weight and unique properties make it an exciting potential building material, say researchers at Autodesk BUILD Space. Courtesy University of Stuttgart. More than 130 years later, steel and steel frame remain kings in skyscraper construction. But innovations in composite carbon-fiber materials and robotic-fabrication techniques could mean a new despot will soon unseat them. And if research occurring at the Autodesk Technology Center in Boston, otherwise known as BUILD Space, is any indication, it could be just as transformative. 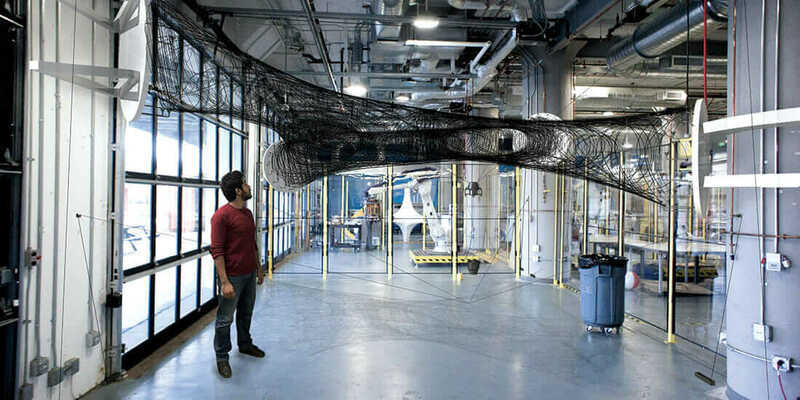 Members of the Ibañez Kim project team hand-weave carbon fiber strands at BUILD Space. Courtesy Salem Chism. The fabrication setup at BUILD Space. Courtesy University of Stuttgart. 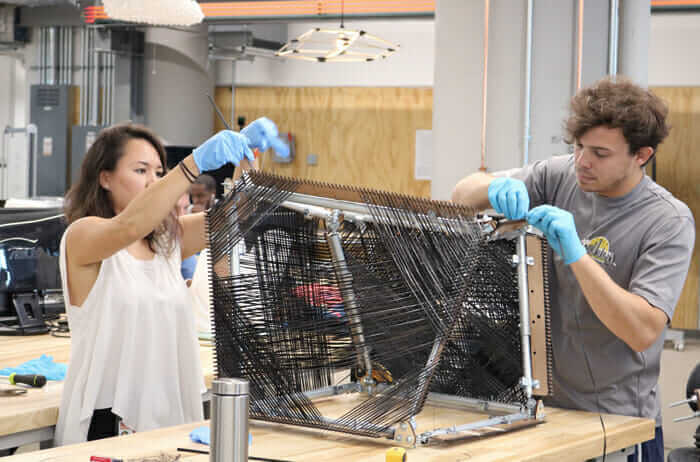 During their recent tenures at BUILD Space, Kim and fellow residents, University of Stuttgart graduate students Ayoub Lharchi and Yencheng Lu, tested and demonstrated carbon fiber construction methods. Their work portends a future in which the architectural case for composites is as strong as steel. Or, more to the point: stronger. At BUILD Space, architect Simon Kim and University of Stuttgart graduate students Ayoub Lharchi and Yencheng Lu tested carbon-fiber fabrication methods. Courtesy University of Stuttgart. 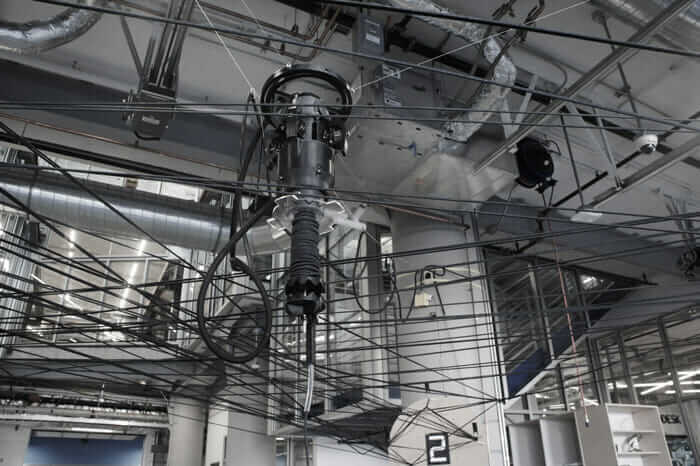 The carbon-fiber fabrication process centered around a fiber-weaving robot. Courtesy University of Stuttgart. A detail of the robot used in the fabrication process. Courtesy University of Stuttgart. See what other innovators are creating at BUILD Space. 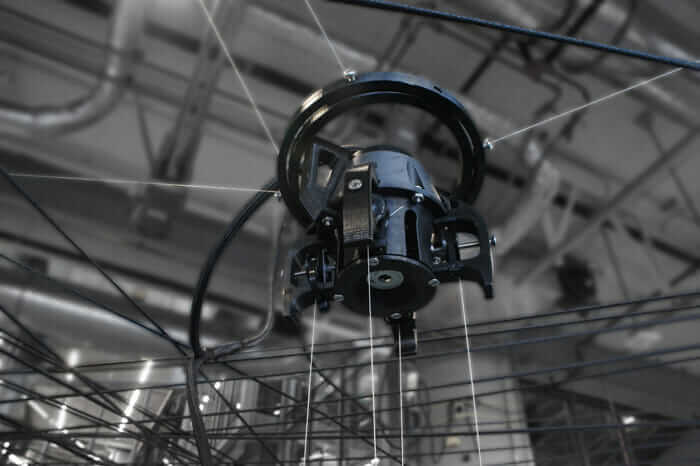 One promising carbon-fiber fabrication method uses cable robots, Lharchi says. 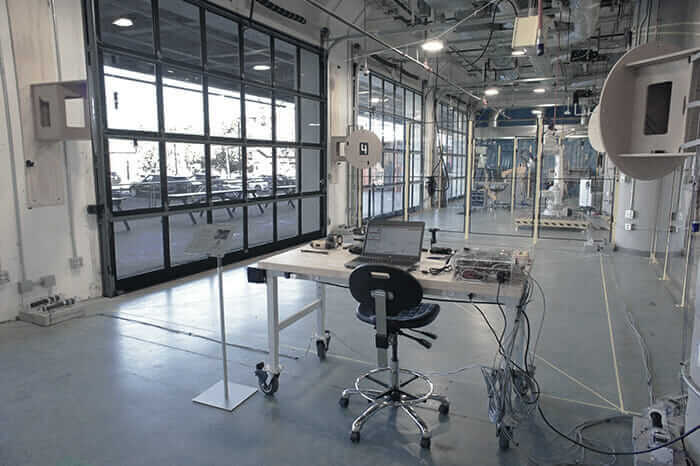 His team demonstrated cable robots’ prospects at BUILD Space, where he used rope to mimic the behavioral properties of carbon fiber.